David Liss, PhD, MA ’08, found that relatively healthier individuals with hypertension saw far fewer specialists when receiving care in a patient-centered medical home. New Northwestern Medicine research suggests that people with hypertension may benefit from the primary care teams established within a medical home setting. 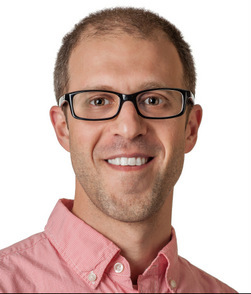 The study, led by David Liss, PhD, MA ’08, research assistant professor in Medicine-General Internal Medicine and Geriatrics, looked at more than 36,000 adults in 26 clinics that have implemented a team-based healthcare delivery model known as the patient-centered medical home (PCMH). In recent years, PCMHs have attracted attention as a solution to systemic deficiencies in primary care. Liss studied how patients with treated hypertension used outpatient specialty care before, during and after each clinic’s restructuring. The findings were recently published in the Journal of General Internal Medicine. Liss believes the findings are consistent with what one would expect to see in a good medical home, namely that relatively healthier patients with hypertension would have more of their needs addressed in primary care, while sicker patients would be more likely to be referred into appropriate specialty care. This pattern of healthcare use ensures that specialists are seeing the patients who will benefit most from their expertise. It also reduces the need to coordinate care for individuals whose condition can be managed by the primary-care team. Patients with hypertension but few other conditions had 27-28 percent fewer specialty visits in each of the three years after the medical home model began being implemented. Individuals with some other illness had 9 percent fewer specialty visits during PCMH implementation and 5 percent fewer specialty visits during the following year. In contrast, the scientists found very different results for clinically complex patients burdened by multiple diseases in addition to hypertension. For those patients, specialty use was 3 and 5 percent higher during the first and second years after PCMH implementation. Liss collaborated with scientists at Group Health Research Institute and the University of Washington School of Public Health. The work was funded by the National Center for Advancing Translational Sciences (TL1 RR025016), the Agency for Healthcare Research and Quality (R18 HS019129) and Group Health Cooperative.